Check out the top 3 in Pro Women’s Physique at the 2016 STL Pro Show – what an incredible lineup! HDPhysiques was proud to once again help sponsor the 1st Phorm St. Louis Pro Show, promoted by Jack & Ann Titone. This event has become the premier bodybuilding event in the midwest each year, and this year’s event was without question, the best one yet. 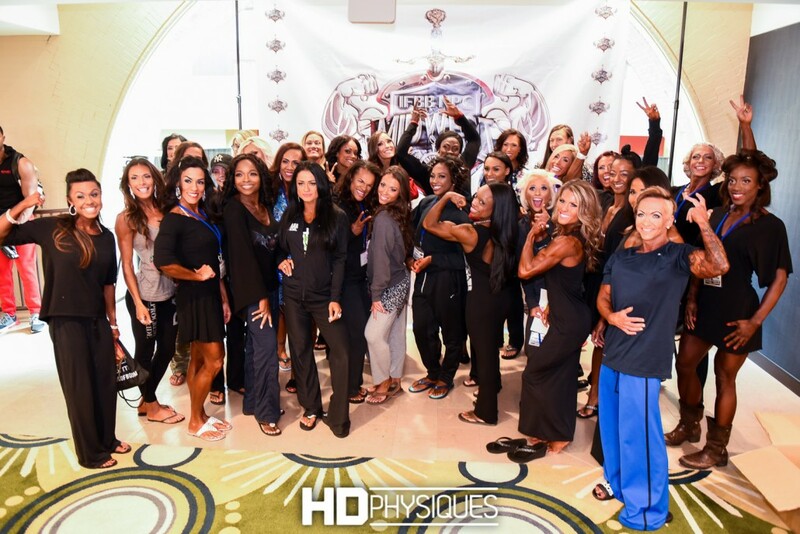 With Pro Physique, Pro Bikini, and Pro Figure divisions represented on stage, combined with the NPC Midwest Championships, and the guest posers Branch Warren & Mr. Olympia Phil Heath, thousands flocked to St. Louis from all over the country. This year’s venue was the World Class facilities at St. Louis’ historic Union Station, which added to the prestige and enjoyment of the event. After a smooth check-in process on Friday afternoon, things immediately got started with the 6pm Prejudging. Making this show a 2-day event was definitely a beneficial move. It was better for everyone involved! NPC Midwest Official Photographer Steven Smith captured some outstanding images which can be found on NPC NewsOnline, and competitors can purchase their stage photos on his website, The New Me Journey. As you could see in yesterday’s HDPhysiques update, we were busy capturing behind the scenes candids, interviews, and a few stage shots of our own. See the 2016 STL Pro Show page for our coverage. Also, on the HDPhysiques 1 YouTube channel, we’ve posted some of the interviews our crew did with competitors over the weekend. Thanks to Annie Gunshow and Rachel “Swolsen” Olsen, for the help on the mic. Stay tuned for much more coverage in the future! Congratulations to Brittany Taylor on her win in the Pro Bikini Division, Ivana Ivusic for her win in the Pro Figure Division, and Jennifer Robinson on her win in the Women’s Physique Division. 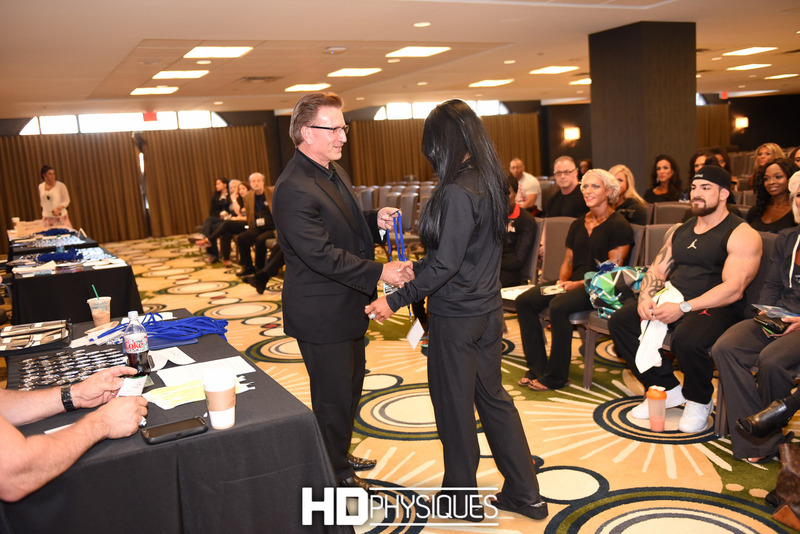 Thanks to Jack & Ann Titone for bringing this amazing event to bodybuilding fans in the midwest each year, and to all the generous sponsors that make it possible. It’s HDPhysiques’ pleasure to be a part of this experience and continue to watch the event grow. St. Louis is truly the MIDWEST MECCA! IFBB Judge John Hnatyschack… a softy at heart! 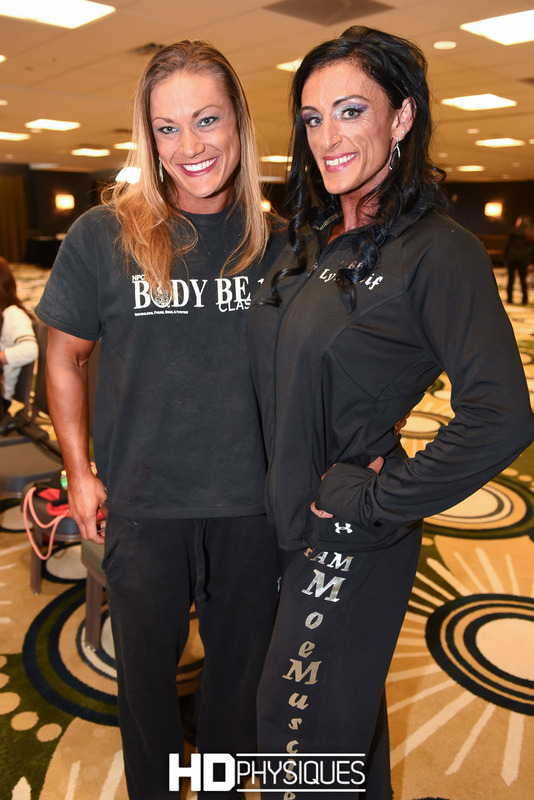 Pro Physique Competitors Erin Knecht & Lynn Reif are friends… but getting ready to do battle on stage later that night! Head judge, Luke Tesvich, checks in the eventual Pro Figure Winner, Ivana Ivusic, as Kat Secor watches on. Our 801st Model is Patrycja Wisniewska - JOIN HDPhysiques Today! NEW MODEL Brittany Bull Plus 2 Additional Pages Updated - JOIN HDPhysiques now! 3 NEW MODELS in the Past Week! Say hello to the GORGEOUS Kayleigh Padilla! Update - Jayla McDermott & Paula Francis Vids Added to the Members Area! NEW Autumn Swansen and MASSIVE Katie Lee Videos at HDPhysiques.tv! NEW Katie Lee & Brooke Walker Products at the FemaleMuscleStore! 2 OUTRAGEOUSLY HOT Katie Lee HUGE Biceps Peaks Videos Added at HDPhysiques.tv! NEW VIDS by Tara Suzanne at HDPhysiques.tv & New Dani Reardon! HUGE update – 8 videos & 200 photos from the 2016 STL Pro! Say Hello to New Model Hiba Noubani – Physique!